Brooklyn-based guitarist, vocalist and songwriter Chris Bergson creates his own blend of rootsy blues and soul. Bergson has performed with Levon Helm, Hubert Sumlin, Norah Jones, John Hammond, Little Sammy Davis, Ollabelle and Larry Campbell as well as jazz legends Annie Ross and Al Foster. The Chris Bergson Band has headlined at such top New York City venues Joe's Pub, The Brooklyn Academy of Music, The Blue Note, The Living Room, and Jazz Standard. Chris has also performed at the 606 Club (London), B.B. Kings Blues Club (NYC), the Highway 99 Blues Club (Seattle, WA), the Regattabar (Cambridge, MA) and the John F. Kennedy Center for the Performing Arts (Washington, DC). Bergson has appeared at NYC's River to River Festival, South by Southwest (Austin, TX), Moulin Blues (Ospel, Netherlands), Groningen Rhythm and Blues Night (Netherlands), the Leicester City Blues Festival (UK), the Kaslo Jazz Etc. Summer Music Festival (BC, Canada), the CMJ Festival (NYC), the Cape May Jazz Festival (NJ), and the New York State Blues Festival (Syracuse, NY). Bergson has opened for Etta James, Levon Helm, John Hammond, Mose Allison, the Average White Band and Dr. Lonnie Smith. Chris Bergson also serves on the faculty of the 92nd St. Y where he teaches rock guitar and is a NY Pops teaching artist. 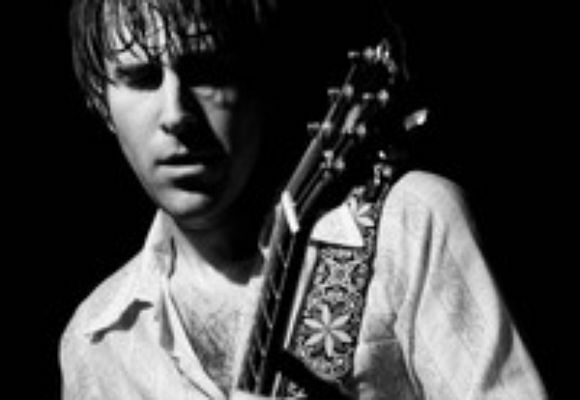 The Chris Bergson Band's latest album, Fall Changes (2 Shirts Records / Bertus), was named the best Blues record of 2008 by MOJO. Fall Changes was recorded at Levon Helm Studios in Woodstock, NY and features stellar performances from Bergson on guitar and vocals, Jay Collins (Gregg Allman, James Hunter) on tenor sax and backing vocals, Bruce Katz (John Hammond, Ronnie Earl) on piano and B-3 organ, and Tony Leone (Ollabelle) on drums. Special guests include vocalist Amy Helm and a Stax-styled horn section arranged by Jay Collins featuring Erik Lawrence on baritone sax and Kenny Rampton on trumpet. As the UK's LEICESTER BANGS writes, "this magnificent collection follows The Band in drawing intuitively and seamlessly from blues, country, folk, funk, soul and jazz. Bergson has the kind of voice that can be sepia-tinted, whiskey soaked or nicotine stained to fit the requisite style and mood, standing alongside Gregg Allman, Dr. John, Van Morrison and Danko / Helm." "Chris Bergson is a serious talent," proclaims LIVING BLUES noting that "Bergson gives early notice to the listener on the album's opening cut, 'Gowanus Heights', of his prowess as both a performer and songwriter. With a horn section that would do the old Stax crew proud, Bergson lures the listener into his world of jazz influenced blues and doesn't let up until the final cut." According to Bergson, traveling to Woodstock to record had an air of pilgrimage about it, as he counts Helm and The Band among his biggest influences. Levon's studio, a renovated barn nestled in the Catskills, has an impressive history with an almost magical list of past clients - The Band, Muddy Waters, Dr. John, Eric Clapton and Keith Richards. The Fall Changes sessions proved to be magical as well; not only were the eleven CD tracks cut, but it was also here that Helm first heard Bergson play, prompting an invite to join him at his Midnight Ramble concerts.